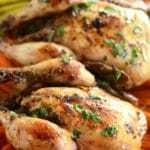 How to cook Cornish game hens? 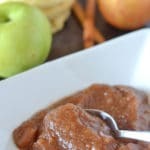 and guess what in your SLOW COOKER!. Every part of the chicken turns out juicy and so flavorful with that Mediterranean olive oil and herbs rub. 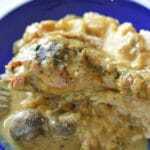 Here is another slow cooker chicken yum that our readers love. 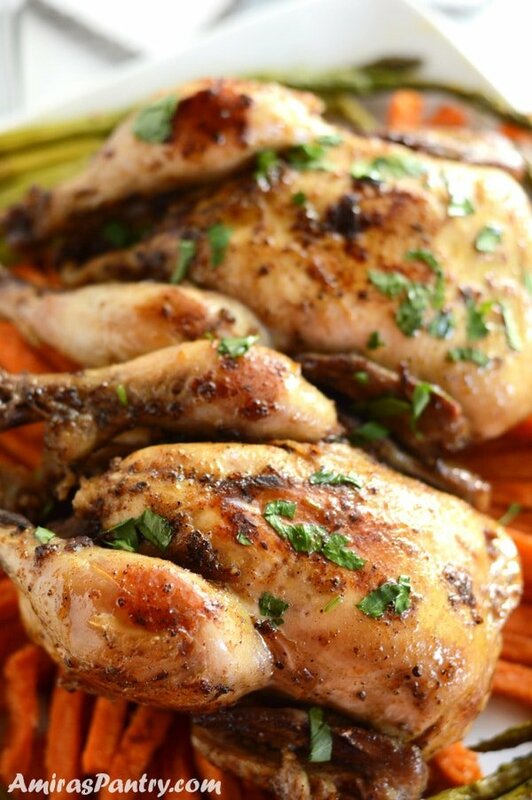 Cornish hens are a favorite in our home. They are small, convenient for everyone and so delicious. 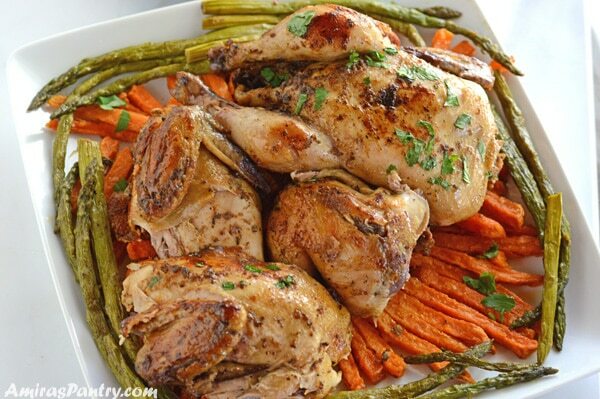 I have another grilled cornish hens recipe here that is absolutely finger licking. 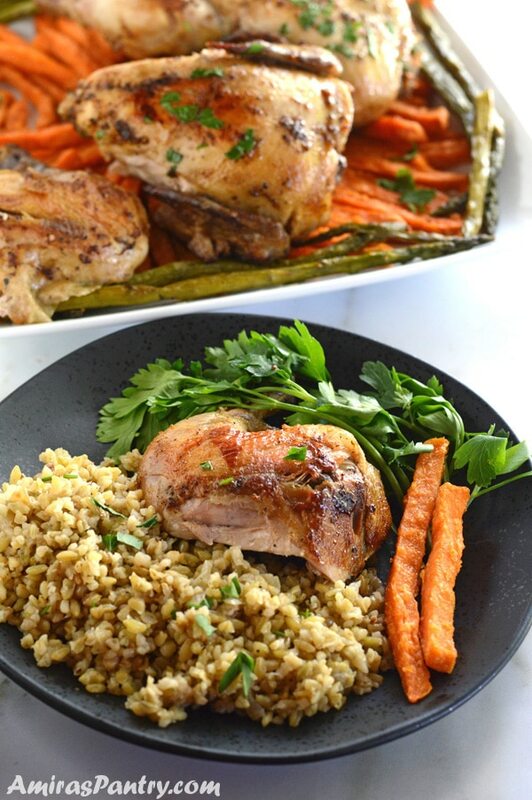 Although I love this grilled chicken recipe, this new one is handy as it is done in the slow cooker which is for sure one of my favorite methods for cooking. We live in a very white city here in Colorado, my kids’ school reached out to me as they have noticed an increased population of other cultures and religions in their school and they wanted to get to know everyone better. This was a great even to get to know other moms and also it was a surprise for me to know that there are so much diversity in my kiddos’ school. It was really interesting to know that there are others who do not celebrate Halloween out of their respect to their god. There are others who celebrate Christmas on January 7th, like Christians who I grew up with. Others who do not eat beef, and those who are not Muslims but do not eat pork as well. It is always a good thing to reach out and talk to people and get to know them better. I always shy from asking people about their religion or their habits during holidays for example as I do not know what will they think. And because of what is going on around us these days I do not want anyone to get any weird wrong idea. But at that meeting, I found my opportunity to listen and ask and listen very carefully and I was glad I did. Our grandparents were very fascinated by the idea behind this meeting and waited eagerly for the results and the information I came back with. They were also very happy to see these chicken. Small birds are highly appreciated in the Middle East as they always indicate juicy and easy to eat meat. How long does it take to cook a Cornish hen? 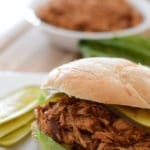 I cooked mine in the slow cooker for 5 hours on low. 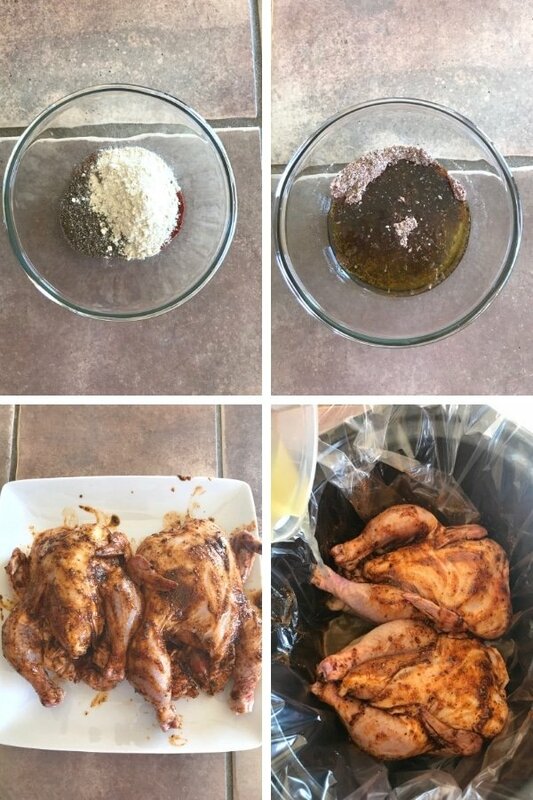 For oven baked chicken, I found that roasting them on high (400F) for 10 minutes then reduce heat to 350F and continue cooking for about 45 minutes to an hour is the best way. How do you get crispy skin on Cornish hens? After cooking the chicken in the slow cooker, I like popping them under the broiler in the oven or pan sear them with butter until skin gets browned and crispy. 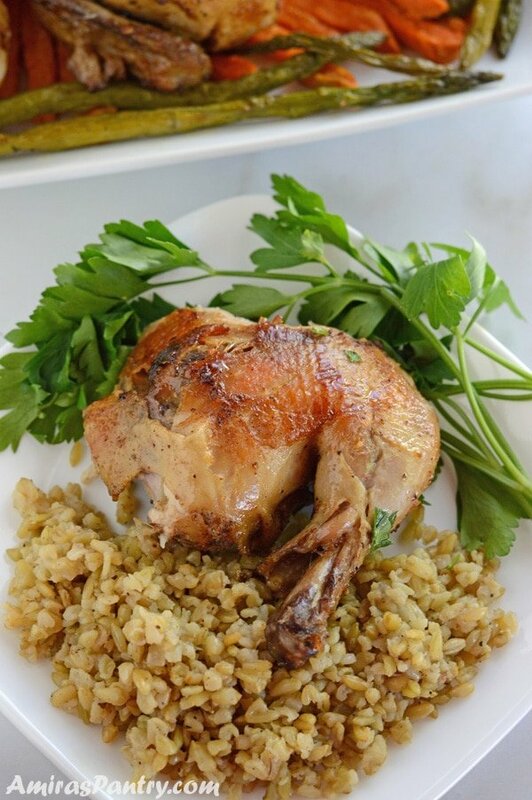 How do you slow cook a Cornish hen? Seriously it is super easy to make, just dump, set and forget kind of recipe. In a bowl, combine all herbs together and mix well. Rub the hens inside out and under the skin with the rub. Place in your slow cooker, add some chicken broth or water if you would like. Just as simple as that, you’ll have a flavorful, tender chicken to go with any veggies of your choice. I’ve served mine with freekeh pilaf, roasted asparagus and sweet potato fries. 1 1/2 teaspoon black pepper. In a small bowl, combine the rub ingredients together. Rub the chicken inside out with the mixture. Place chicken in your slow cooker. Pour the broth in and set the crockpot on high for 3 hours or low for 5 hours. You can also put them under the broiler for a crispier skin. Excellent recipe…very easy for a busy Saturday or Sunday. I could not find cardamom so I used a mixture of clove/cinnamon/nutmeg and the flavors did wonders for the taste. Just need to make sure that they are minimized because they came through STRONG in the final meal. Second comment is that I put some of the seasonings in the broth during the cooking process to get the taste infused in the entire bird. GREAT RECIPE, it’s in my little favorite recipe book. 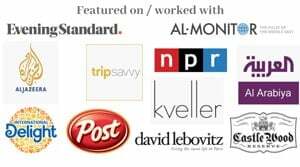 Scott, thank you for trying this recipe and I am happy you liked it. Your notes are very important as not many people might have cardamom in their spice drawer, this is a great substitute. Thanks again. This was easy and everyone enjoyed dinner. This is great, Sara. Thank you so much for the feedback. These were delicious, I used butter instead and roasted them for 10 minutes in the oven after they were done. Awesome, thanks for the feedback May!